Belief. Beliefs are opinions unsupportable by proof. Truth. Truths are facts supported by proof. Indeed, a recent New York Times article decries this curriculum commonly taught to our nation’s youth because those simple definitions belie the reality that sometimes things are both. 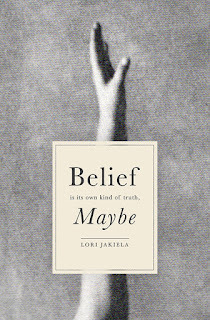 It’s those places—where belief and truth intersect—that Lori Jakiela probes in her latest memoir, Belief Is Its Own Kind Of Truth, Maybe. Jakiela’s attempts at prying truth from an organization founded on secrecy and sealed records proves largely unyielding. Forced to settle for “non-identifying information,” she’s denied access even to the medical history she alleges is all she seeks. Yet, readers see through this self-deception to realize she wants more—she wants what all children ask of their moms: Please see me, acknowledge me, accept me, love me. Throughout her life, the author has imagined and been told personal creation stories by her adoptive family, but the versions are incomplete—partial fabrications that leave her unprepared for encounters that come later. In the absence of facts, memoir crosses into fiction that attempts to restore “…certain lost and key moments that affected [her] life, but for which [she] was not present.” Those parts conjure a birth mother who is a more sympathetic character. But though they provide juxtaposition, Jakiela is at her most powerful in memoir mode when she narrates her experiences and thoughts with scalpel-precision that debrides primal wounds. This is a book about the lies we are told, the lies we tell ourselves, and the things we just believe without proof. It searches out the authenticity in all of it and illuminates how beliefs sometimes persist because we need both the truth and the lies to make life livable—to keep loving ourselves and each other. Further, it’s about leaving behind the life one inherits in favor of the life one chooses in response to everything sensed since leaving the womb, and having it be better than enough. 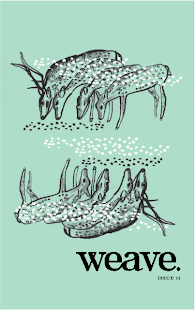 The story is at times doleful, but the author is always self-sentient and honest. “I never had a voice in any of this,” Jakiela writes of her conception and adoption, but in this book her voice is strong and her emotion finds expression. Forty-five episodic chapters of varying lengths form a staccato rhythm that echoes Jakiela’s disjointedness as she grieves and strives for wholeness. Yet, by the close, the book becomes legato as all the parts smoothly bond like the city of Pittsburgh, where the author was raised near, “All those rivers and bridges, connecting everything to everything.” Similarly, Jakiela recognizes that the life she has created for herself, deeply connected to her husband and children, is the one that matters, while readers recognize those places in themselves where belief and truth mingle.